As the gopis (cowherdesses) race wildly through the forest searching for Krishna, they soon see evidence that he has gone off with one of their number. 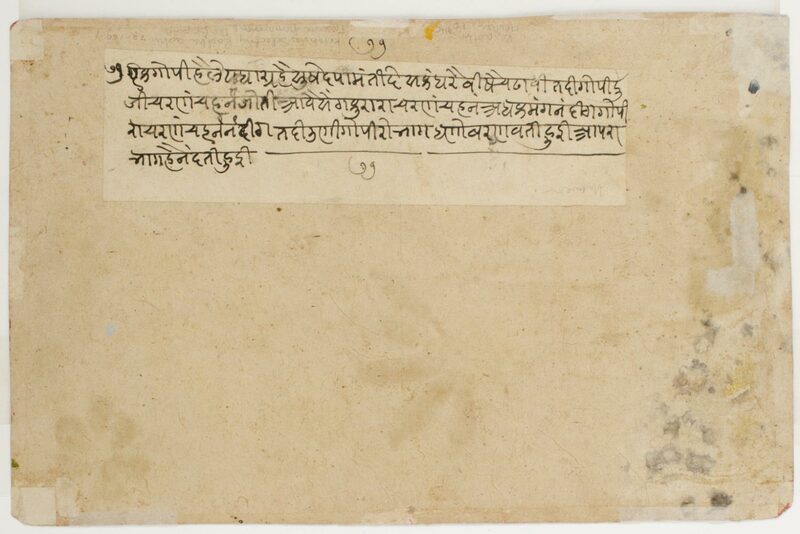 This favorite gopi is never mentioned by name in the Bhagavata Purana, but later poems, such as the lyrical Gita Govinda, identify her as Radha. Radha comes to be seen as Krishna's primary love interest, and thus as the embodiment of the human soul yearning for god. 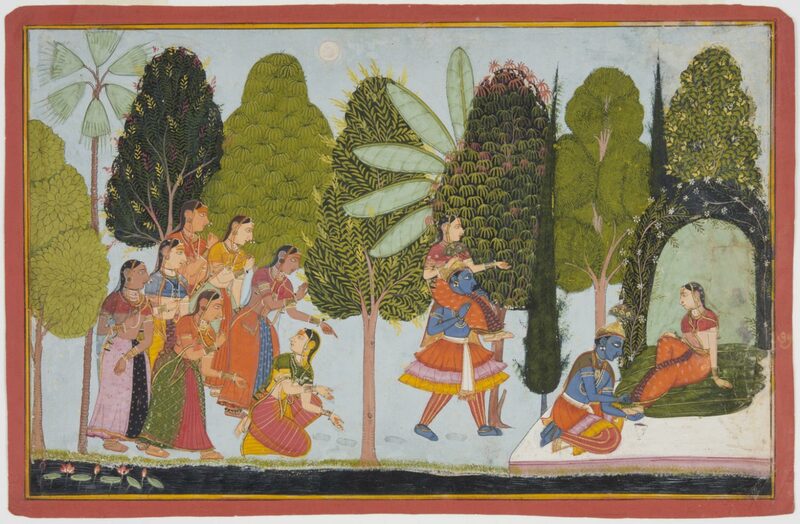 This painting depicts the gopis frenzied imaginings of Krishna and his favorite's intimacies. When they see Radha's footprints vanish and Krishna's deepen, they agonizingly imagine him carrying her on his shoulders, placing her in a bower, and pampering her by washing her feet.